Sometimes after cooking and eating large meals, it is sure nice to eat something a bit lighter and that is less fussy to make. This salad fits the bill. My favorite meal is anything with pasta. I try and invent meals that have pasta, but trying to disguise it where I can. 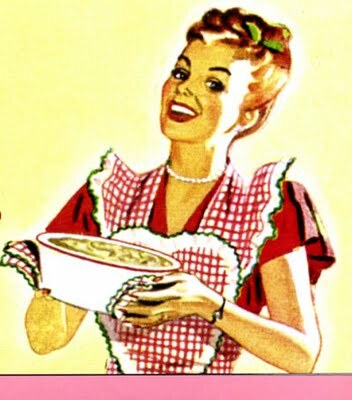 Like in salads, soups, casseroles, in stir fry recipes, anyway I can. Especially now that the Mayor has retired. He is not crazy about pasta. If your wondering who that is, it’s my husband. The title of Mayor was given to him and is a story I will tell at great length at some point. Let’s just say for now, it has something to do with all the hundreds of miniature Christmas houses he sets up into villages at Christmas time. Now back to the macaroni salad. 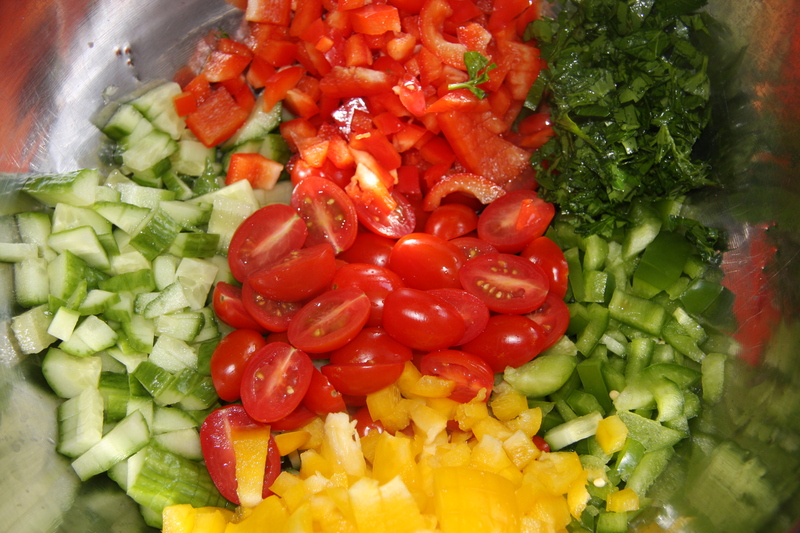 Chop 1 cucumber, 1 yellow pepper, 1 green pepper, 1 red pepper, 1 cup of cherry tomatoes and 1/4 cup of fresh parsley. 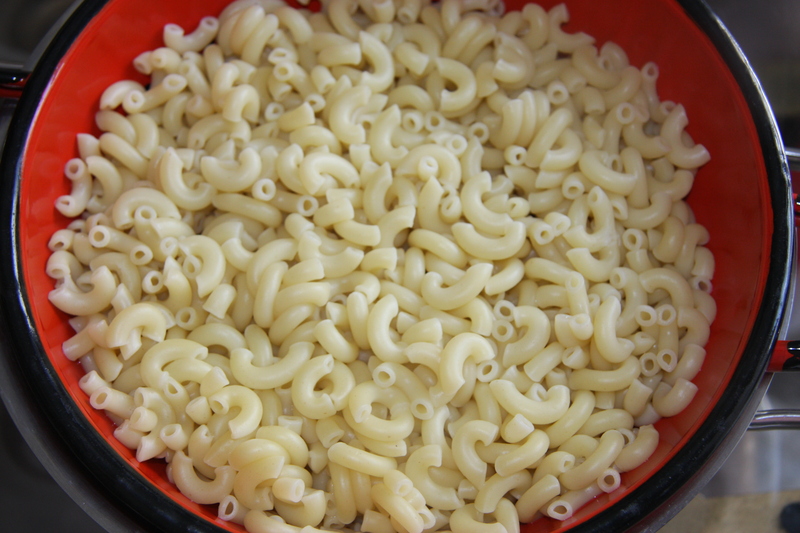 In a pot of boiling water add 1/2 bag of your favorite macaroni or more if you like. Follow directions on package for cooking times. Rinse in cold water and drain. 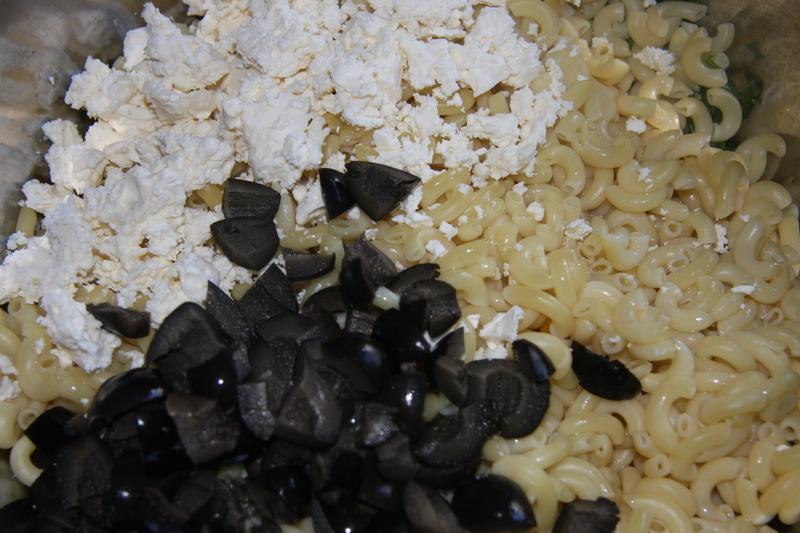 Place the pasta into a bowl and add 1 can of black olives and 1 cup of Feta cheese. Next add all the veggies that were chopped, along with 1/4-1/2 cup oil, salt and pepper to taste. Then squeeze the juice of 1 lemon onto this, give it a good mix up and a taste to see if the seasonings need adjusting. If it does need more of something don’t be afraid to add it. We all have different taste buds so what I might need more of the next person might not. 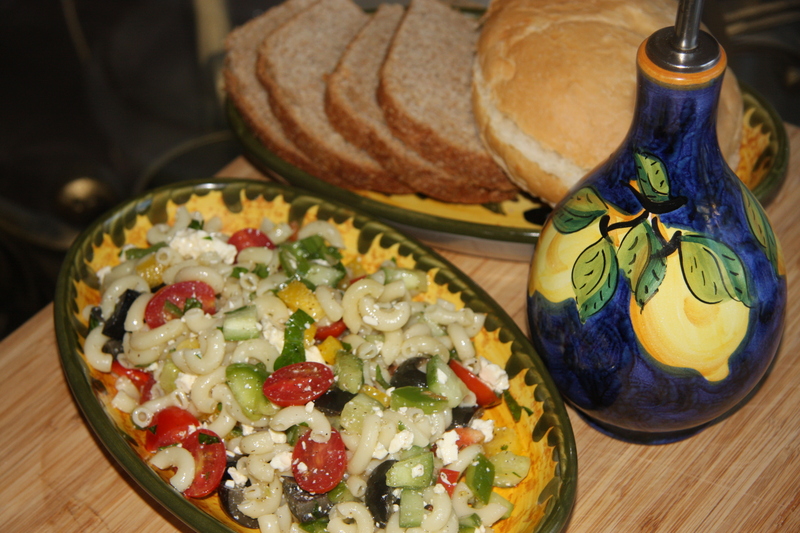 Serve with some crusty rolls or bread and you have a great meal. Boil pasta according to instructions on package. Drain and rinse with cold water. 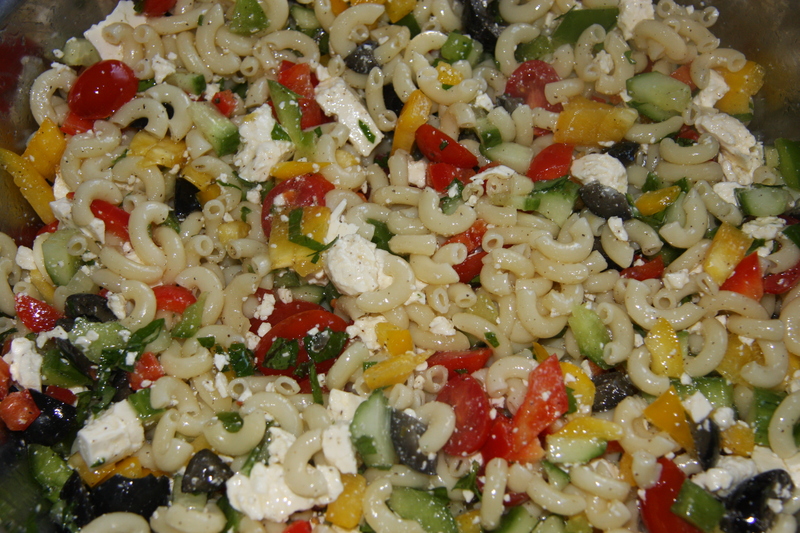 Add black olives, crumbled feta cheese, olive oil, lemon juice, salt and pepper and all the chopped veggies. Give it a good mix and add more olive oil, lemon juice and salt and pepper if necessary. Cover and refrigerate for at least 3 to 4 hours.